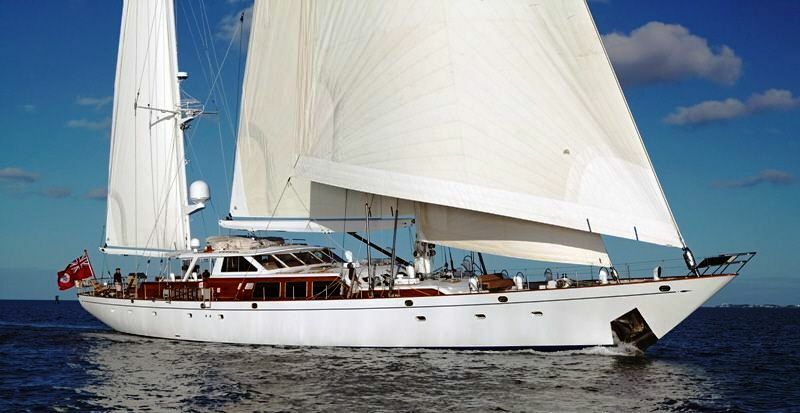 Picchiotti (Perini Navi Group) completed sailing yacht FREEDOM in 1986. Therefore, she is built country of Italy. FREEDOM had her naval architecture and design completed by Sparkman & Stephens and Sparkman & Stephens. 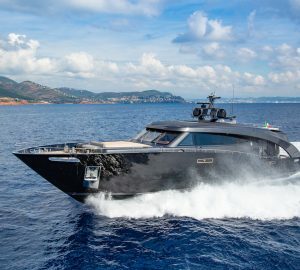 This superyacht FREEDOM can accommodate overnight the sum total of 8 passengers all told aboard and 7 crewmembers. Launched to celebration in 1986 the comparatively traditional interior design exhibits the stately ambience from Janet Simon and their approach to interior yacht design. 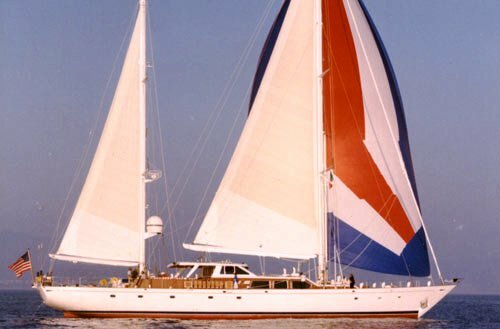 Launched in August,1986 by Picchiotti SPA in Viareggio, Italy, the 124ft cruising ketch FREEDOM was designed for former Secretary of the Treasury William E. Simon, who chose Sparkman & Stephens for his first custom-designed yacht. His design brief was based on the concept of a long-range, safe, comfortable and fast yacht which was technologically advanced and simple to sail and yet elegant, graceful and classic. Sparkman & Stephens was the naval architect firm involved in the professional nautical composition for FREEDOM. Also the company Sparkman & Stephens successfully collaborated on this venture. Interior designer Janet Simon was responsible for the internal interior styling. In 1986 she was formally launched to accolade in Viareggio and post sea trials and final completion was then delivered to the new owner. Picchiotti (Perini Navi Group) completed their new build sailing yacht in Italy. A reasonable proportion is brought about with a widest beam (width) of 7.92 m or 26 feet. With a 5.88m (19.3ft) draught (maximum depth) she is deep. The material aluminium was used in the building of the hull of the sailing yacht. Her superstructure over the hull is created from aluminium. In 2004 further refit work and modernisation was also performed. The 3406 DITA engine powering the yacht is made by CATERPILLAR. She is driven by a single screw propeller. The engine of the ship produces 402 horse power (or 296 kilowatts). She is fitted with 1 engines. The sum power for the yacht is accordingly 402 HP or 296 KW. The bow thrusters are Richfield. Offering cabins for a maximum of 8 visiting passengers sleeping aboard, the FREEDOM accommodates everyone comfortably. This ship carries around 7 expert crewmembers to run. 37.73 metres / 123.8 feet. The propulsion comes from one 402 HP or 296 kW Caterpillar. The Model type is 3406 DITA diesel.